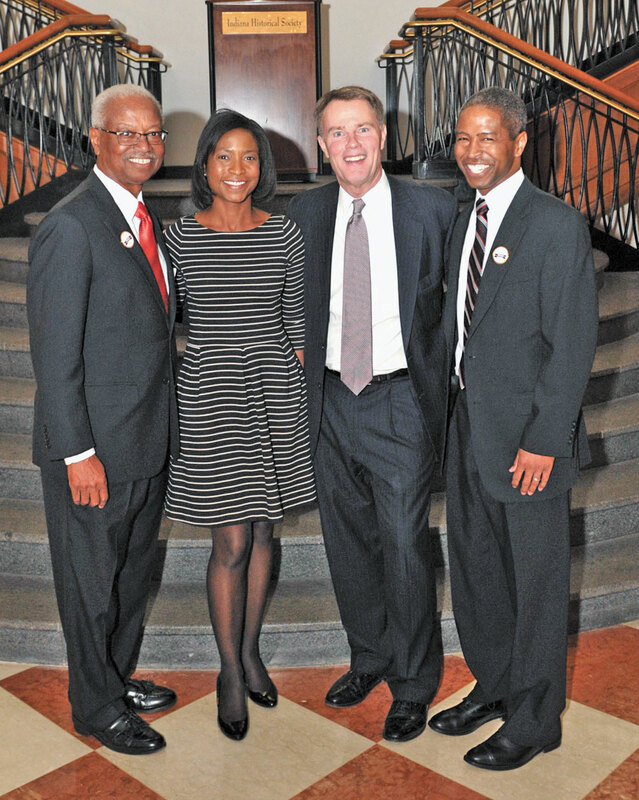 Left to right: Mamon Powers Jr., chairman of the board for Powers and Sons Construction Company; Kelly Powers Baria, vice president of Powers and Sons’ Gary office; Indianapolis Mayor Joe Hogsett; and Mamon Powers III, president of Powers and Sons’ Indianapolis office, pose for a photograph following a program celebrating the company’s 50 years in business. 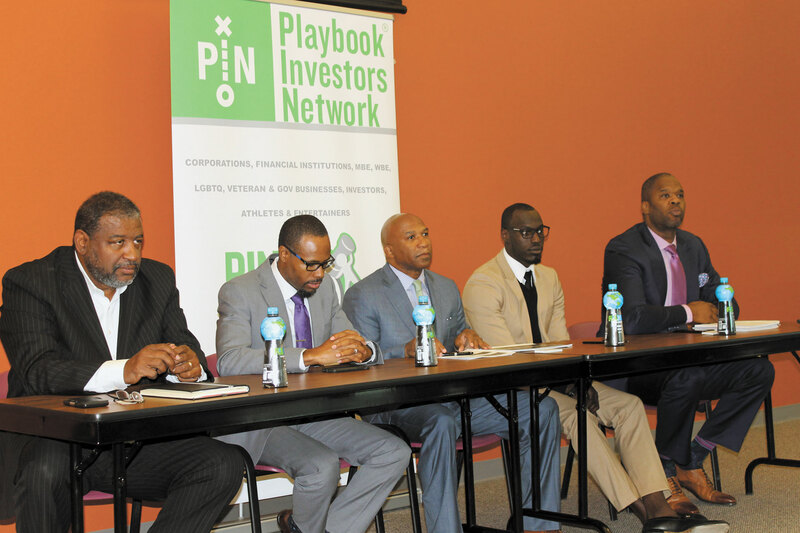 Clients have included the City of Gary, Indianapolis Public Schools, McDonald’s restaurants, Chicago Airport Authority, State of Florida and Purdue University. 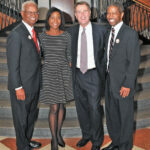 The program was held last October at the Indiana Historical Society. Indiana Gov. 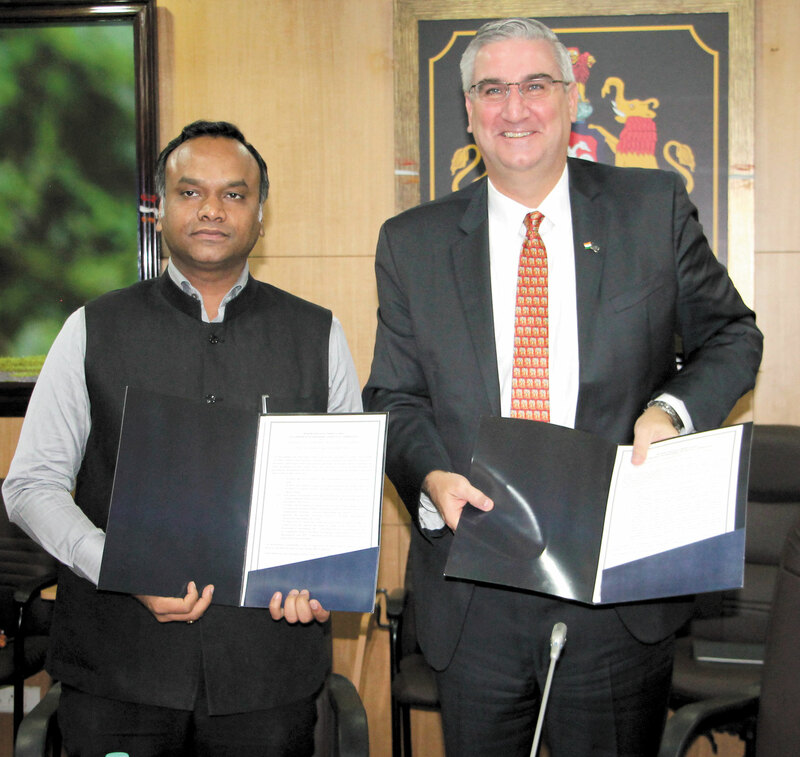 Eric J. Holcomb joined government officials of Karnataka, India, in October to establish a sister-state relationship. The agreement — signed by Holcomb and Priyank Kharge, Karnataka Minister for Information Technology, Biotechnology and Tourism — focuses on advancing economic development and investment, workforce development, academic cooperation, information and communications technologies, advanced manufacturing and materials, life sciences, agriculture and agriculture technology, automotive and aerospace and aviation. Karnataka is one of the largest technology clusters in the world and also supports vibrant biotechnology, automotive, aerospace, agribusiness and engineering industries. Indiana shares sister-state partnerships with Tochigi Prefecture in Japan and Zhejiang Province in China. 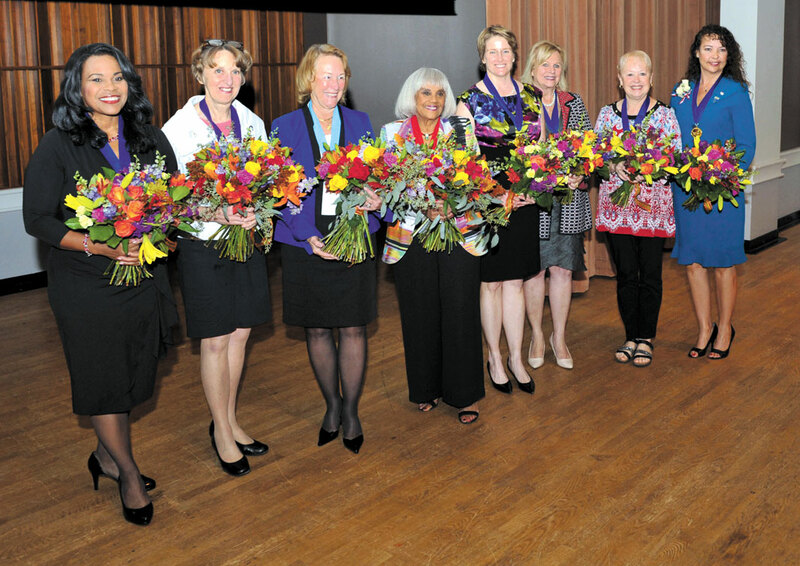 The recipients of the Indiana Commission for Women’s 2017 Torchbearer Award pose for a photograph at a reception held in their honor in September at the Indiana Historical Society. The ceremony recognizes women of Indiana who have been pioneers throughout their lives or who have stepped forward as leaders by breaking down barriers. 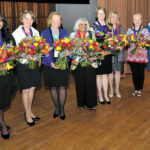 This year’s Torchbearer recipients are: Barbara Boyd, Indianapolis (Trailblazer Award); L. Cheri Bradley, Terre Haute (Keeper of the Light Award); Terra Brantley, Monroeville; Carol Curran, McCordsville; Catheryne Pully, Zionsville; Sandy Vance, North Vernon; Linda White, Newburgh (Lifetime Achievement Award); and Lisa Wilken, Westfield. 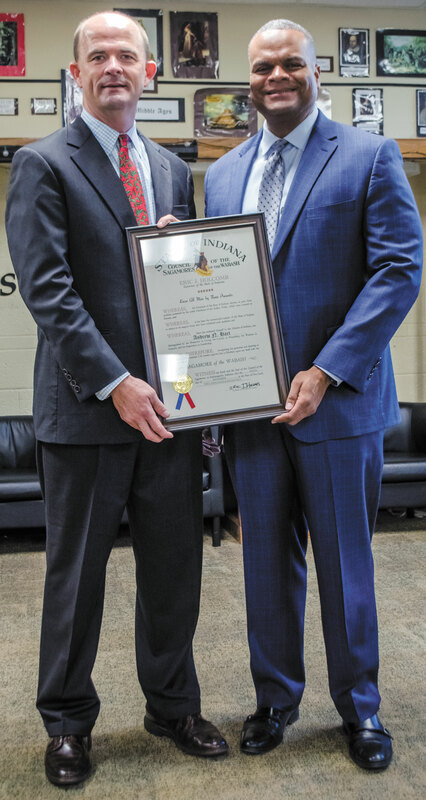 Andrew Hart (left), CEO of The Oaks Academy, received the Sagamore of The Wabash Award. The award is one of the highest honors for a Hoosier, given by the governor. 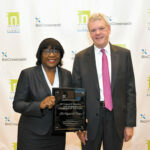 Hart was recognized for his 15 years of leadership at The Oaks and a commitment to building and growing a diverse school with excellent results. Among those who have received Sagamores of the Wabash have been astronauts, presidents, ambassadors, artists, musicians, politicians and ordinary citizens who have contributed greatly to Hoosier heritage. 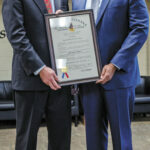 Hart is pictured with Dennis Barlow, chair of the Oaks Academy board. 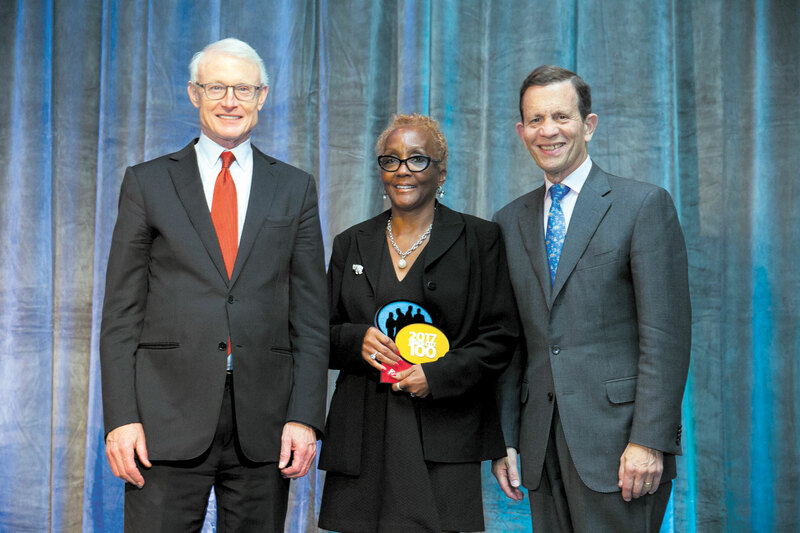 Engaging Solutions LLC, an Indianapolis-based minority- and woman-owned management consulting firm, has been named to the 2017 Inner City 100 list, an annual ranking published by The Initiative for a Competitive Inner City (ICIC) and Fortune. The list ranks the fastest-growing inner-city businesses in America by revenue growth. 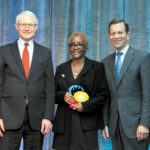 Engaging Solutions ranked 54 on the list of 100, and reported 2016 revenues of $7.6 million and a five-year growth rate of 140 percent from 2012-2016. 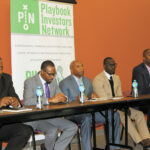 Ten percent of Engaging Solutions’ net profit is donated to community programs through in-kind and financial donations. 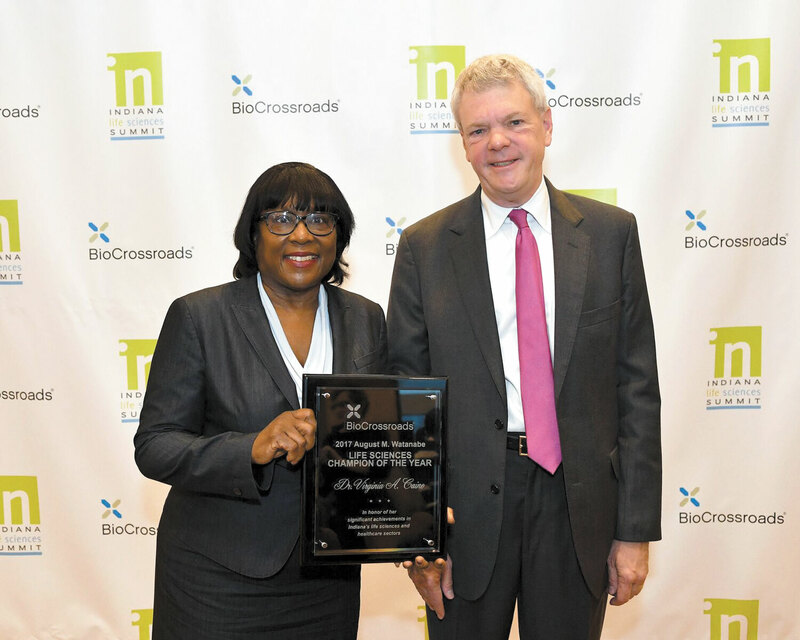 Pictured: Venita Moore, a managing principal of Engaging Solutions, accepts the award at the Inner City 100 Conference and Awards in Boston.